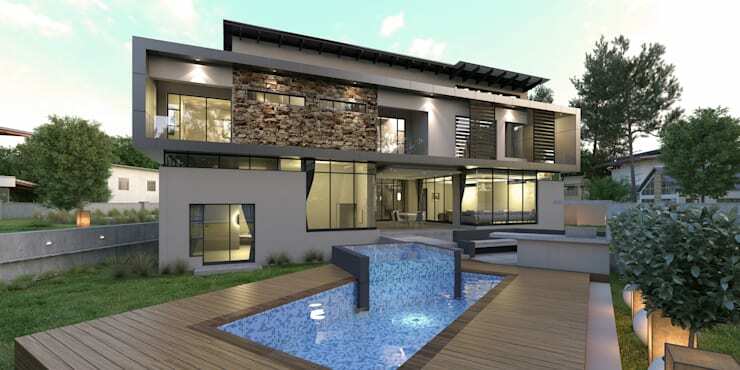 A South African home is the epitome of comfort, elegance and of course a means to admire the often fantastic panoramic and breathtaking views of the landscape, whether it be the ocean, magnificent mountains or even a glimpse of the sunset over the horizon, there's always something to see in this beautiful country. 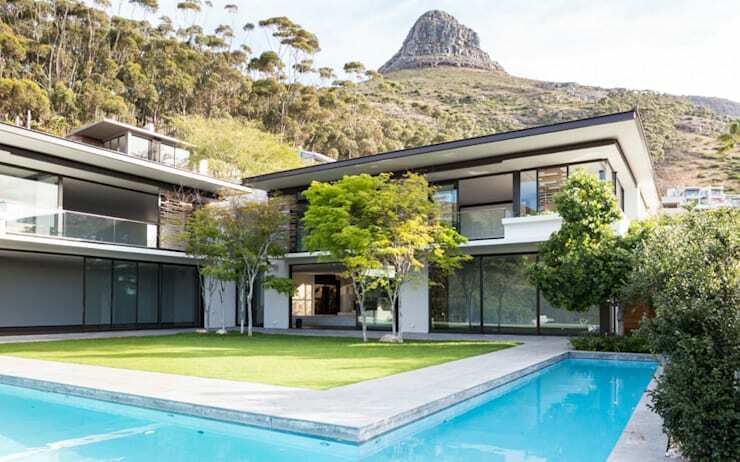 Our houses often showcase the sensational sights of the surrounding area, so let's enjoy the architectural splendour that makes up these 11 stunning, yet proudly South African homes. 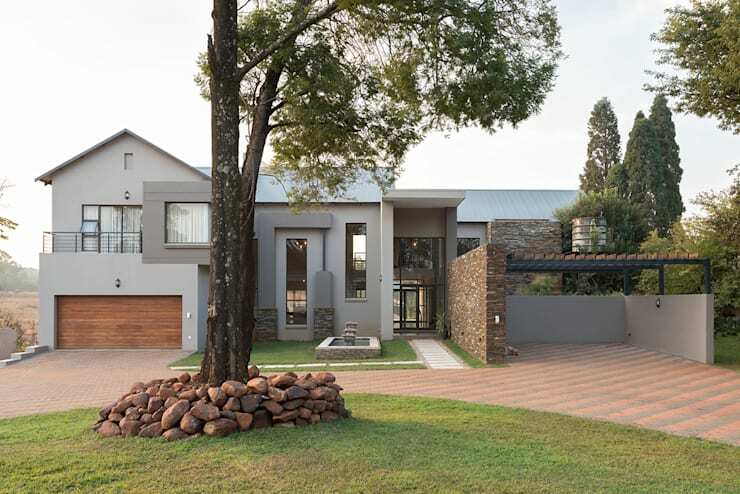 This spacious modern home has all the makings of a brilliant living space, the large lawn and double storey structure is perfect for a growing family that enjoys their own space and privacy, while the stone accents on the walls incorporates a very simple rustic element. 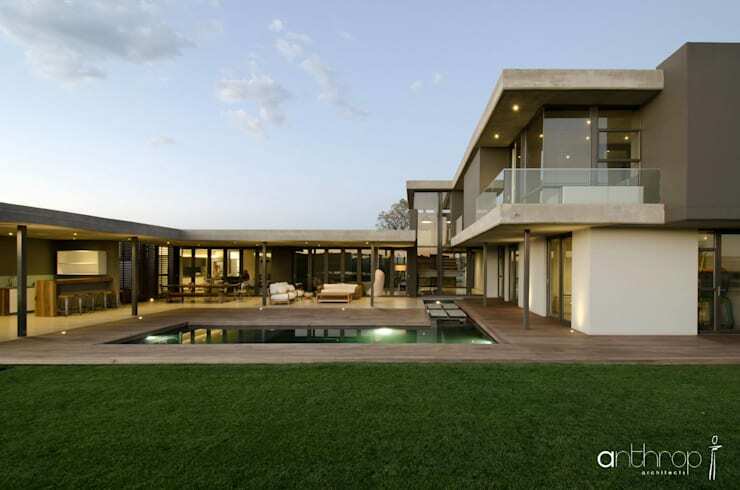 A contemporary home doesn't mean you need to get rid of the gorgeous garden you're already privy to, instead decorate think of making your tall tree a point for your decor. While the neutral colours of the facade doesn't detract from the modern detail either. 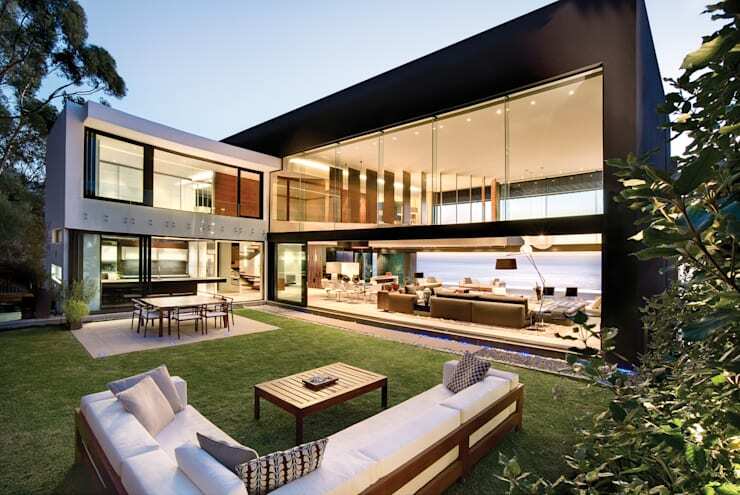 If brilliant lighting, spacious design and sleek glazing speaks to you, then this spectacular home is an awesome choice for your modern family. 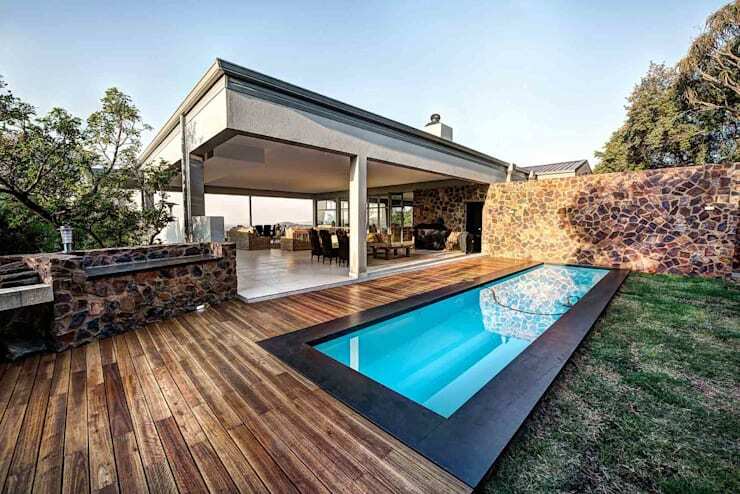 Just imagine how socialising and entertaining will be made easy with a pool area and terrace such as this? Or even those lazy Sunday afternoons with a good book? 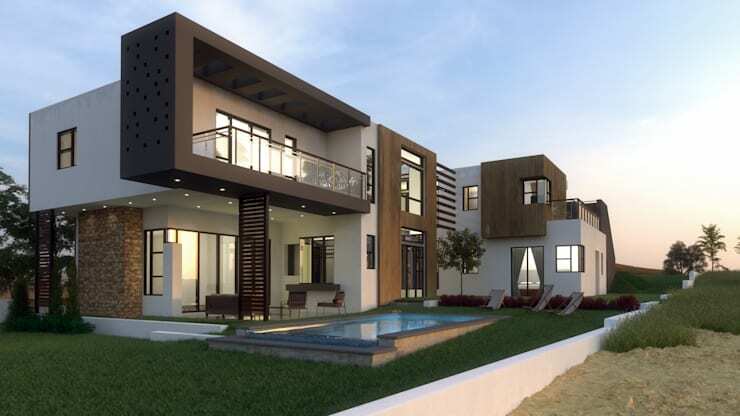 A minimalist style house can be functional too, and this design is especially attractive with a wood inspired colour scheme. 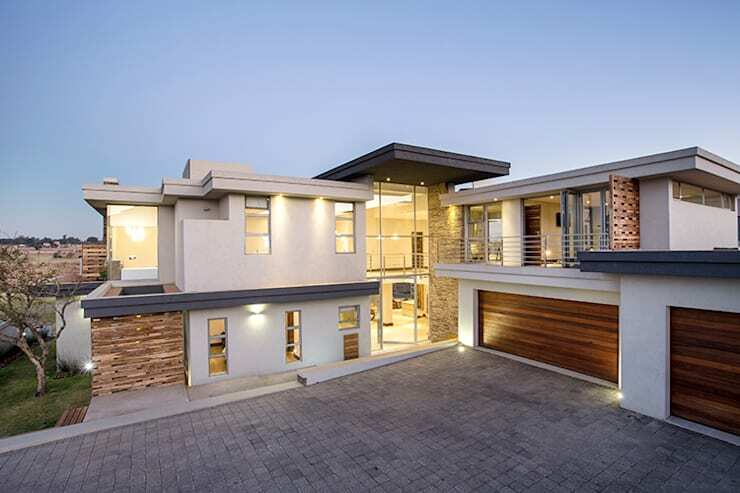 We mentioned the mountain views before, but this majestic home is proof about the elegance and sophistication of the architecture that takes the sights into consideration when designing the home. A home in the country needs some comfortable, cosy and attractive features and this fascinating design does just that, the romantic lighting and soft colour of the facade, coupled with the pergola makes this house a stunning choice all around. 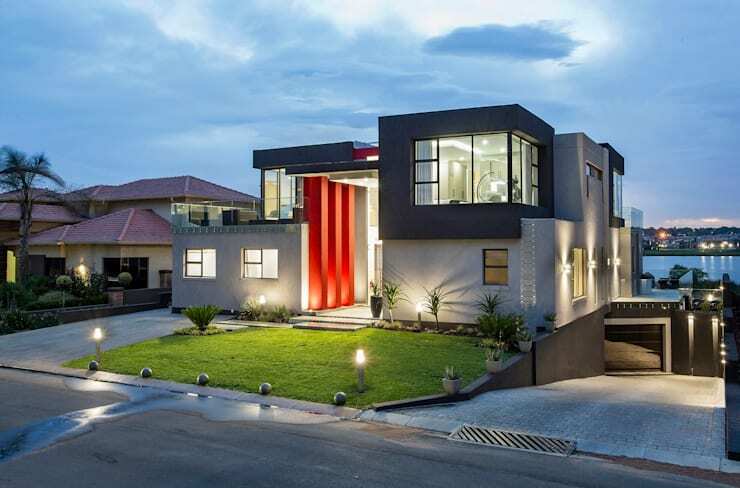 The brightness and brilliance of this modern home shines outward for an awesome and eye-catching effect. Forget walls and curtains, opt for some gorgeous glazing instead and let the natural light illuminate your interior throughout the day! A wooden deck around your pool is great for lounging and dipping your feet it throughout a warm summer evening and with this much space, you may want to invite the neighbourhood. Your terrace can be an extension of your interior, just include some striking modern design and views of the rolling hills below. 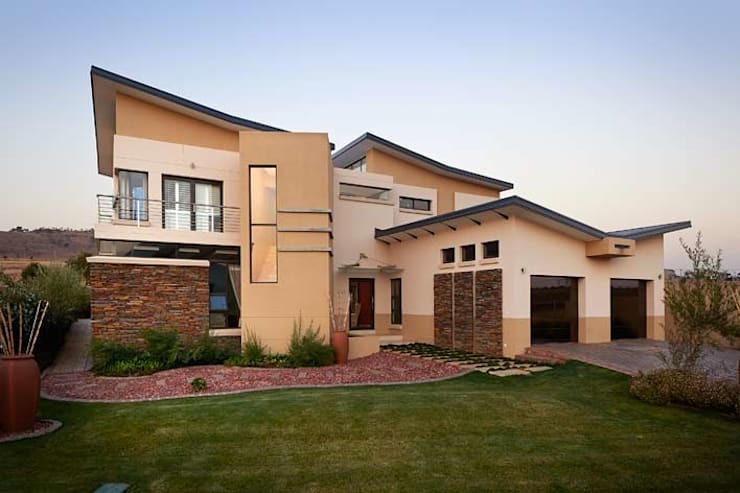 Which South African home do you love the most?